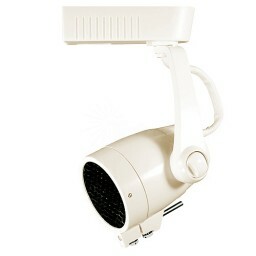 Excell Modern Track Light in White for your home, gallery, residential, commercial or office track lighting installation. Chose from White or Black. Fixture works in our single and double circuit power track. Fixture has a black excell grid to insure that the light output can only direct in one direction. Eliminates glare and light from the sides. Unique fixture only available from this manufacturer.